A construction worker was rescued after getting trapped at the top of a pillar in Queens Tuesday. The incident happened just after noon at 56th Road and Laurel Hill Boulevard. The 911 call came in at 12:15 p.m. 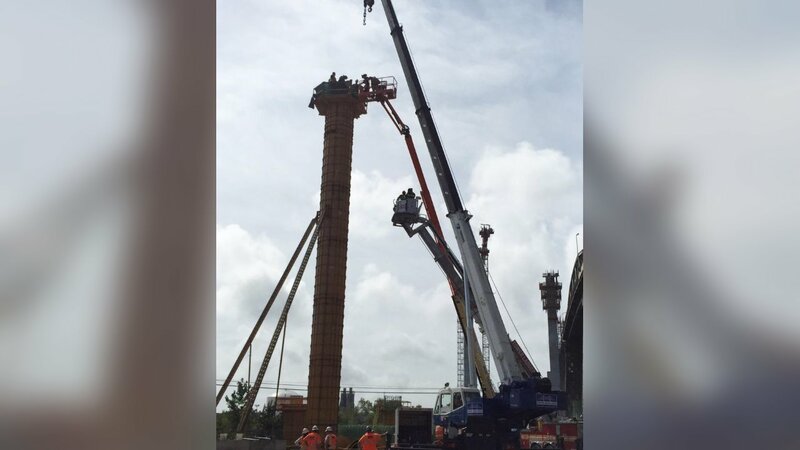 The FDNY said the construction worker was working on the top of the pillar when he started to have trouble breathing and got dizzy. First responding firefighters used a crane from the construction company to reach the victim. He was checked and treated and then lowered to the ground in a tower-ladder bucket. He was alert and conscious the entire time. The weather may have had something to do with it, because it is hot and humid outside. The construction project is part of the work for the new Kosciuszko Bridge.